The raid on workers at Cloverhill is one of the biggest U.S. employment headaches reported by a European company so far as President Donald Trump has made curbing undocumented immigration a centerpiece of his presidency. Aryzta said it faces challenges in retaining staff in the U.S. and pressure to raise wages. Wait… removing workers who are here illegally increases demand for American workers and boosts wages? How can this possibly be? This must violate some law of economics. Next someone will come up with the crazy idea that there are other effects, such as on housing costs, traffic and congestion, and government expenditures. A Philadelphia city councilwoman is defending her controversial bill that would force certain businesses to remove bulletproof barriers separating cashiers and customers. Councilwoman Cindy Bass said in a statement her proposed legislation only affects stores applying for a “large establishment” license, or sit-down restaurants where food is served and there is seating and tables for 30 or more people. The goal is to crack down on so-called “stop-and-go” shops, or convenience stores that sell hot food and alcohol, many of which have become nuisances to neighborhoods with intoxicated and unruly customers, according to Bass and other lawmakers. Bass tried to clarify that her bill would only regulate large establishments, not corner stores, small pharmacies or similar businesses. She said her office has also proposed safety alternatives to barriers, such as lighting, cameras, security guards, security wands and police check-ins. The bill, put forward by Councilwoman Cindy Bass, focuses on “stop-and-go” convenience stores that act more like bars than the restaurants they are licensed to be, selling beer and shots of liquor over the counter and attracting crowds that end up becoming public nuisances, lawmakers say. Kim said the glass went up after a shooting and says it saved his mother-in-law from a knife attack. Pennsylvania state law mandates businesses with restaurant licenses should regularly sell food and have tables and chairs to seat 30 people. But some, according to an investigation by local news station 6ABC, keep their seating locked up or out of reach and the grills shut down, selling little more than alcohol and forcing customers to wander outside. Consumption of alcohol away from the confines of the store then leads to problems, State Rep. Jordan Harris, a Democrat who represents Philadelphia, told Fox News. Someone should inform the good Councilwoman don’t get it that unnecessarily inconveniencing customers makes for a poor business model, particularly using expensive bulletproof barriers to do it. And yet, businesses in certain areas keep inconveniencing customers by using those barriers. Perhaps the Councilwoman and her fellow Councilmembers should ask themselves what is going on, or in a few years they’ll be asking why there are no businesses at all in those very same areas. 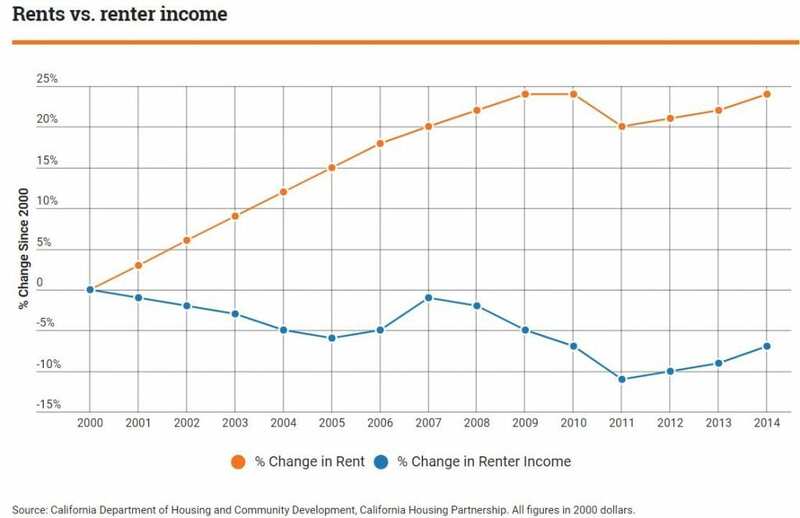 Both the supply curve for labor in the state of California and the demand curve for housing in California are made up of the states residents. In general, if you increase the supply of something, all else being equal you bring down its price. On the other hand, if you increase the demand for something, all else being equal you increase its price. The graph above suggests that in California, two things have happened. One is that the supply of labor has increased more rapidly than its demand. Conversely, the demand for housing has increased more rapidly than its supply. Wasn’t this the Democrat’s position not long ago? When and why did that change? 2. The bolded section was part of Cotton’s piece, but I chose to bold it as I felt it was worth a special highlight. Below are the gory details. The data source is Appendix Table B-47, “Hours and Earnings in Private Non-Agricultural Industries, 1966-2012.” The table has been completely revised since last year’s edition of the report. The data is for production and non-supervisory workers in the private sector, about 80% of the private workforce, so we are able to focus on what’s happening to average workers rather than those with high incomes.. I use weekly wages rather than hourly because there has been substantial variation (with a long-term decline) in the number of hours worked per week, from 38.5 in 1966 to 33.7 in 2012. The table below takes selected years to reduce its size. But, if you’ve been paying attention, you know the drill: higher productivity plus lower wages = greater inequality. The question is, why aren’t our media paying attention when real wages fall, yet again? Update: Jon Talton at the Seattle Times has now taken note of this. Withheld income and employment taxes have been running about 8.3% higher year over year, comparing the same 33 business days between Tuesday, January 8 and Monday, February 25. Regardless, there is no doubt that the Obama Administration has taxed us into a recession. Congratulations. Ken Houghton: If I were writing that piece, it would be about how the cuts in taxes last year are the only thing that allowed people to pretend we were in a recovery, which has otherwise been jobless. (Check out YoY for 2009 to 2010 or 2010 to 2011.) Krugman is probably right not to dismiss out of hand the idea that you can sustain economic growth with a plutocracy, but it’s not at all an even odds bet. Personal income was just released; down 3%. And we know that those monies were not being reinvested last year. (See Steve Roth’s post a couple of days ago.). Will be interesting if we see Excess Reserves start to fall when those tax payments all come due. And a sad thank you, Mike. You and I may have improved our lot last year, but that was the exception, not the rule, and not without painful transition. How we call extended joblessness and growth based on consuming savings a “recovery” befuddles me. Dale Coberly: As I may have tediously tried to point out elsewhere, rescinding the tax holiday is not a tax raise.. it is the end of a government “stimulus” funded by borrowing, unnecessarily attached to the payroll tax for devious political purposes. the SS “tax” is always circulating… it goes to benefits to the otherwise poor elderly who spend it right away. unless you are going to fund those benefits by borrowing or taxing the rich, reducing the payroll tax would reduce “circulating” by the extent to which people “saved” that money for their eventual retirement… assuming they could find a way to “save” it, given the fact that no one is “investing.” i guess we could go back to gold coins buried in jars in the backyard. that should be good for the economy. raise a cheer from a Canadian crowd? Just toast the double-double. averages here, spread across 33 million Canadians. How can we calculate that? on that, but thousands of them do. but effectively one half is always supporting the other. a closed system will result in collapse or shrinkage of the system. the problem at the child end and the senior end. growth. That’s one thing Canada is doing. though it’s going slowly, it is a work in progress. grow their own people, they don’t rent them. nations doesn’t bother anyone except, I suppose, the poorer nations. Canada-the-nation needs to be doing.